It was Walt Disney who said many years ago "Of all of our inventions for mass communication, pictures still speak the most universally understood language". This was before the age of Internet and the statement remains true today as it was in the 1930's. My earliest experience into the magical world of photography was as a boy, I remember getting my first film camera, having to wait for days to get the images back from the processors and seeing the magic and wonder in a photograph that I had taken. Years on I am still that enthusiastic person who loves taking photographs. After a 38 year career with a technology company I now devote most of my time to photography. I print the photographs on a large format printer using fine art paper in my studio and cut my own mattes which enables me to control the whole creative process. I am based in Hertfordshire in the United Kingdom. I travel all over the world to fulfil my passion of capturing moments and making memories with my photography. 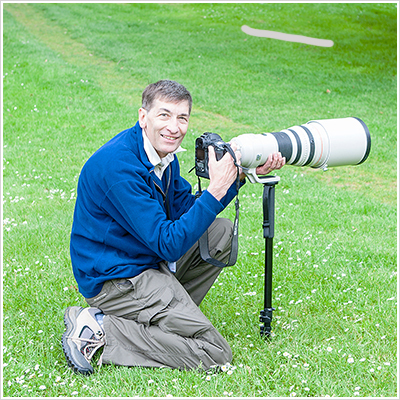 My specialties are landscape and architectural photography however following the recent purchase of a Canon super prime telephoto lens I have started to get involved in nature and wildlife photography. My current project is photographing the interior of every one of the 42 Anglican Cathedrals in England. © 2000 - 2019. Frederick James Gormer, all rights reserved.